Are you going on a cruise this summer? No? Of course, you are. Even if you are not. Here’s how. This collection by Givenchy will give you the sensation of being on a cruise, wherever you are. This collection is beautiful in terms of design, it’s compact – there are only five products in it, to put it simply, it’s gorgeous. Now, let’s think about it. 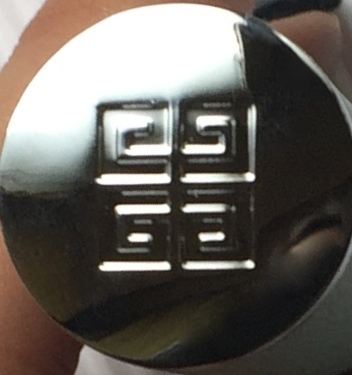 What do we usually get in cruise collections? 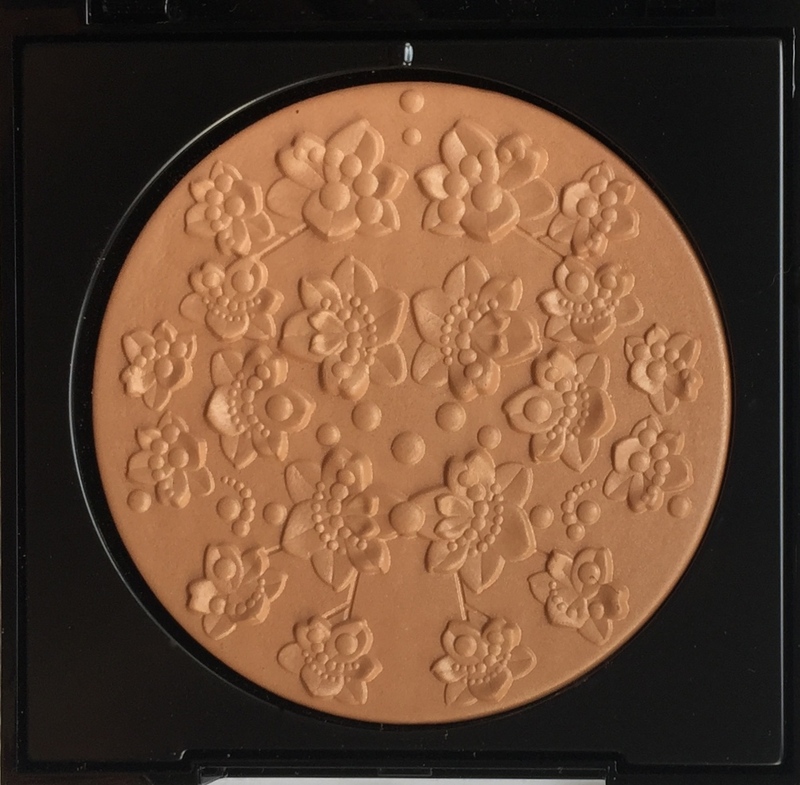 Bronzer would be the first and obvious guess, and we do have one here, of course. Some version of lip colour is the second guess. 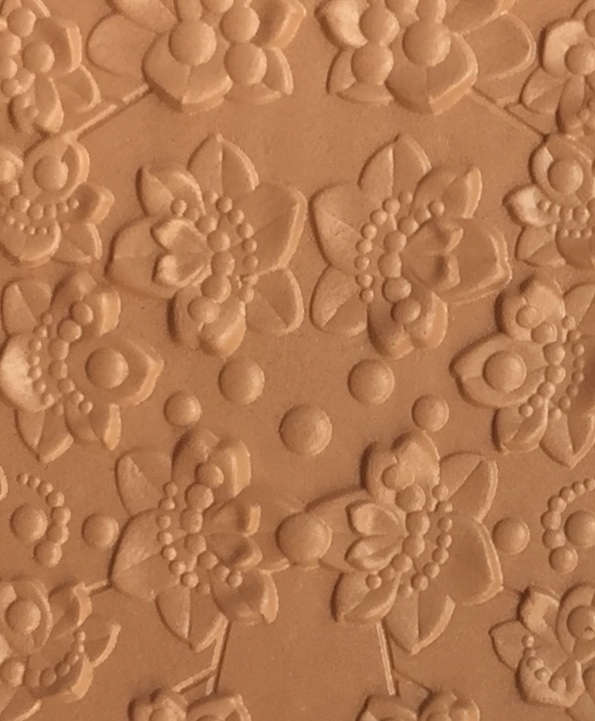 Two lipstick textures is what Givenchy prepared for us this year. And then something for the eyes. In this case it’s mascara and mascara top coat. I would agree, that when on a cruise, we might well skip even eyeshadow and go straight for the mascara to make our lashes full and long and whatever else. Makes sense. 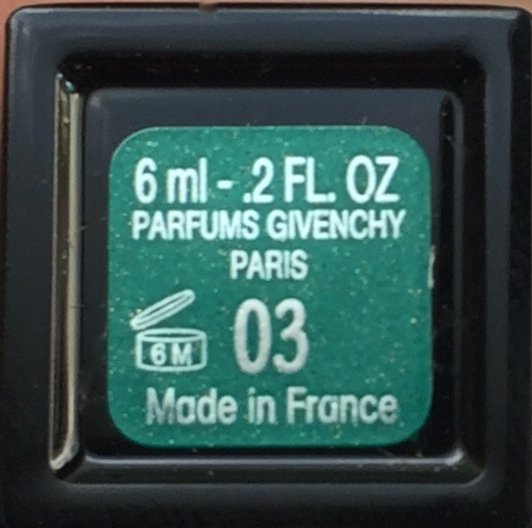 Also, the whole handful of cruise makeup by Givenchy is kind of on the artsy side – as usual – which I happen to like, because it means, it won’t be just like everything else out there. What is a cruise makeup collection to you? To me, it’s something infused with light, ocean breeze, sunshine, aquamarine water and sweet tropical fruit juice. It’s healthy glow and fun colours. And a little extra happiness as a cherry on top of this Sundae. This season Givenchy so-o nailed it. Big time. And the green packaging on those lipstick shades is just oh so fresh and nice. And did you notice how this collection is called Gypsophila? Do you know what Gypsophila is? It’s a flower from the carnation family, so it’s related to carnations we know so well. You know what it’s also related to? Baby’s breath. Those white tender mist of flowers that are sometimes used by florists and landscape designers as a background. Gypsophila can be found in the Mediterranean, among other places, which befits summer season and cruise season. This flower it tender and lush at the same time, because it blossoms in bunches, it’s not one flower, it’s a whole cloud of flowers. White or pink cloud, because these flowers can be white or pink. Cute. I think, it’s a very charming image for a cruise makeup collection. First things first. Face. Powder. Bronzer. It’s bound to show up in a cruise collection. Tan and healthy glow go hand in hand with summer in general and cruise in particular. 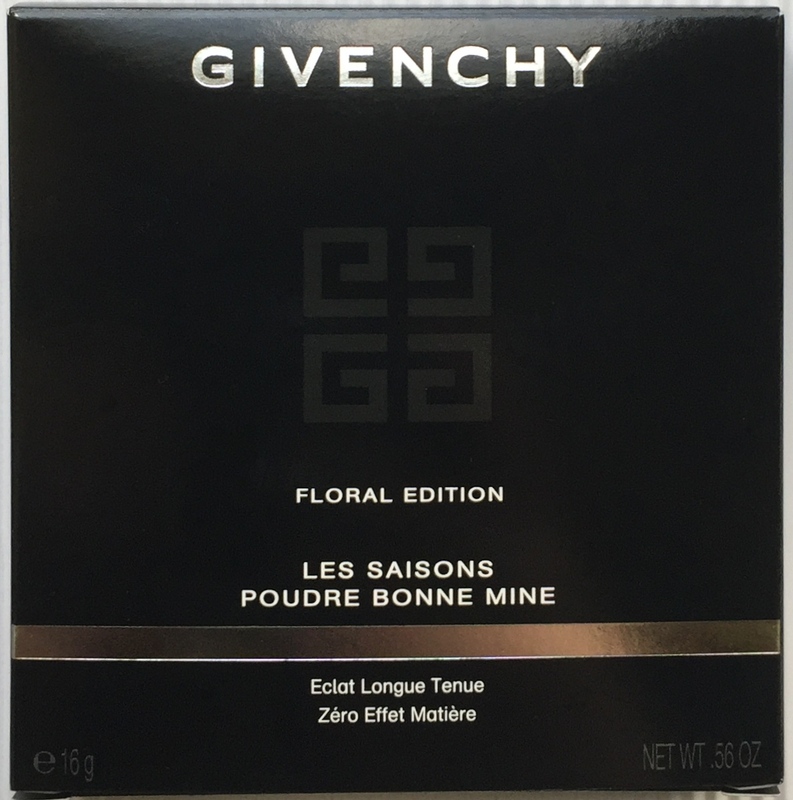 This year Les Saisons Poudre Bonne Mine by Givenchy comes in shade 02 Douce Saison. Sweet Season. Yes, Givenchy, this season is sweet. By all means. Also from what it says on the packaging here we learn that it’s a Floral Edition. Interesting. What’s a floral edition? 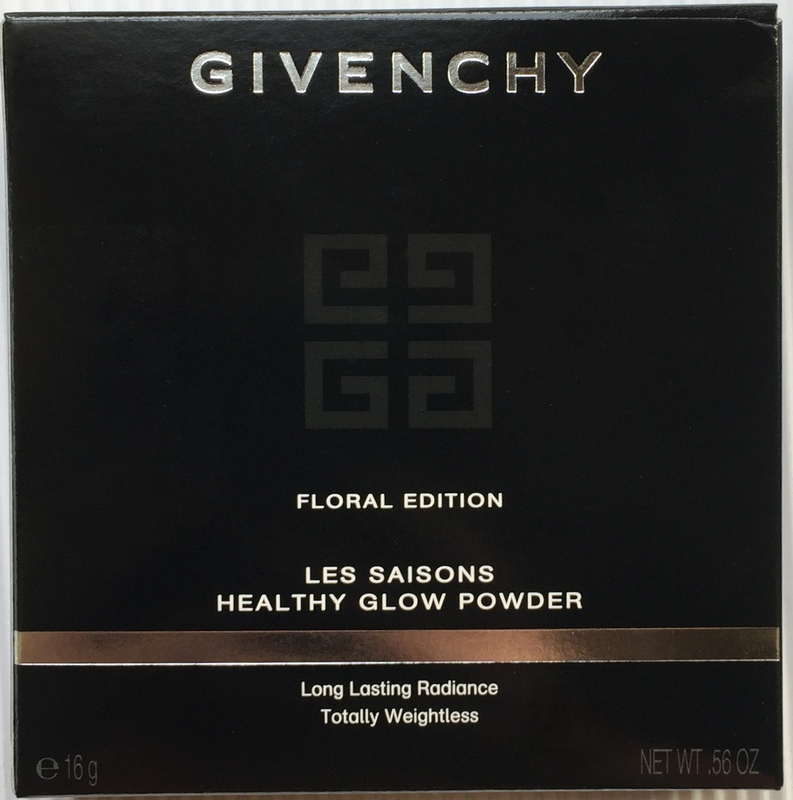 And that it’s a healthy glow powder, as I presumed it would be, because it makes sense for a cruise edition. And that it promises long lasting radiance and total weightlessness. All good things. I just hope it’s not too dark. 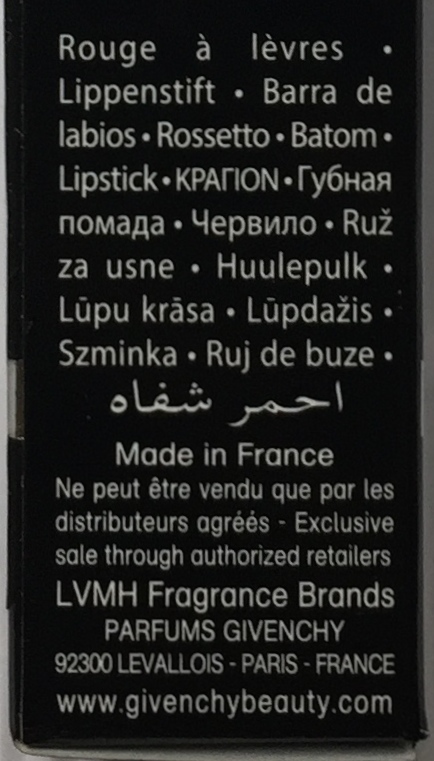 I think, the brownish black and bronze packaging in very laconic and elegant. 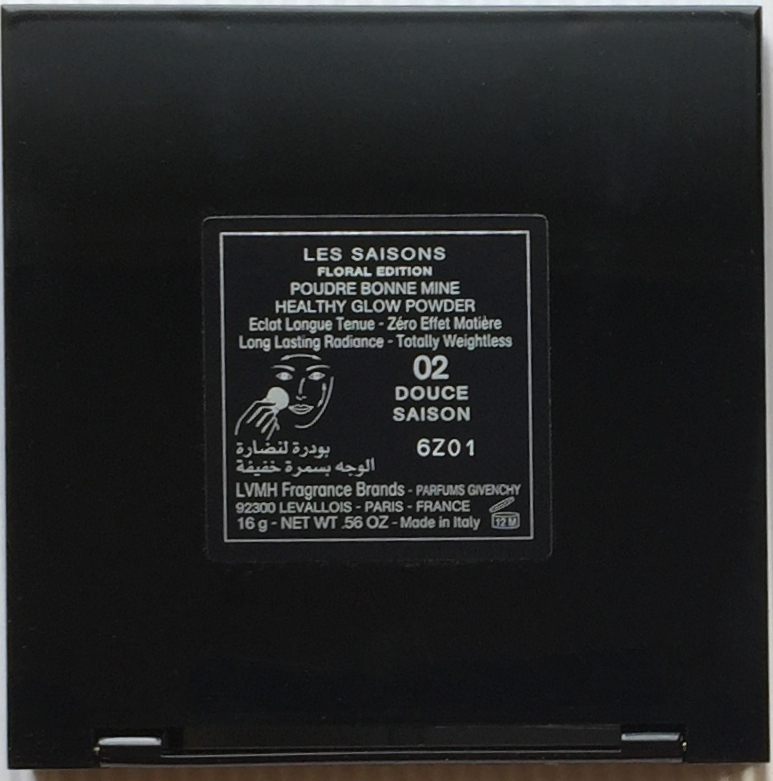 And summery 🙂 This powder box looks very chic, in fact. And inside… oh. This is beautiful. Look at these flowers. Gypsophila. They are not too much, not over the top, just right. Next. Mascara. What should a good cruise edition mascara be? Waterproof. It’s the first thing that comes to mind. You want mascara. But you don’t want it to be smudged all over the place and ruin your whole look, right? Of course, you don’t. Cruise 2017 mascara by Givenchy is Noir Couture Volume Waterproof. Ok, so it’s waterproof. Good. And it’s volume. I don’t know about you, I happen to like volume mascara, in general, because volume formula in mascara somehow usually gives me length 🙂 Can’t explain it, it’s just a fact of life. 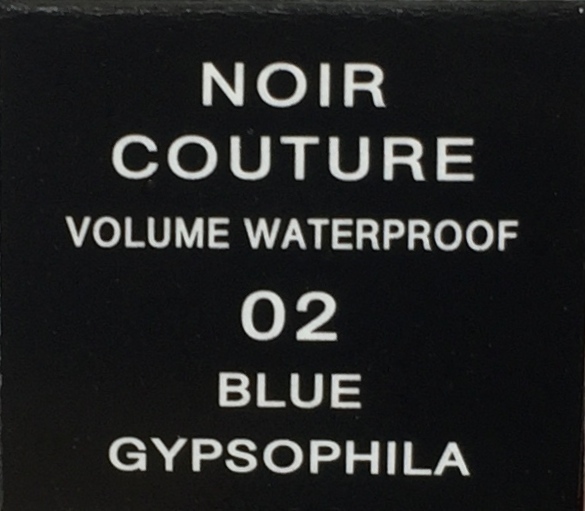 Noir Couture Volume Waterproof mascara tube is not noir in any way. In fact, it’s the opposite. It’s white. Which makes it look edgy and relevant. And helps you tell your waterproof mascara from the one that’s not. The shade. It’s blue alright. Not your classic mascara blue. Brighter and artsier. Not crazy artsy though. Pretty wearable, I’d say. Even for me, though my eyes are brown. Depends on what you wear and how you make up, in fact. Sometimes it can be a very good counterpoint. And if your eyes are blue, well, it’s going to look just a little more summery on you than a regular navy blue mascara. I’ve come to understand one thing. This intense and vibrant azure blue might seem too funky, but it actually looks good on almost everyone out there. It’s very becoming, whatever your eyes are – blue, green or brown. So, no need to be afraid of it. And it does have the wow effect wrapped in it. 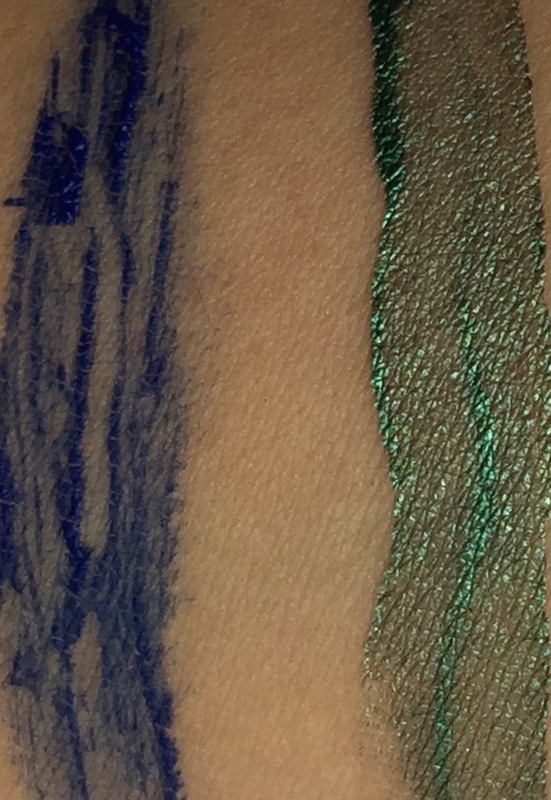 When they first released their Encre a Cils, I’ve already told you about it. 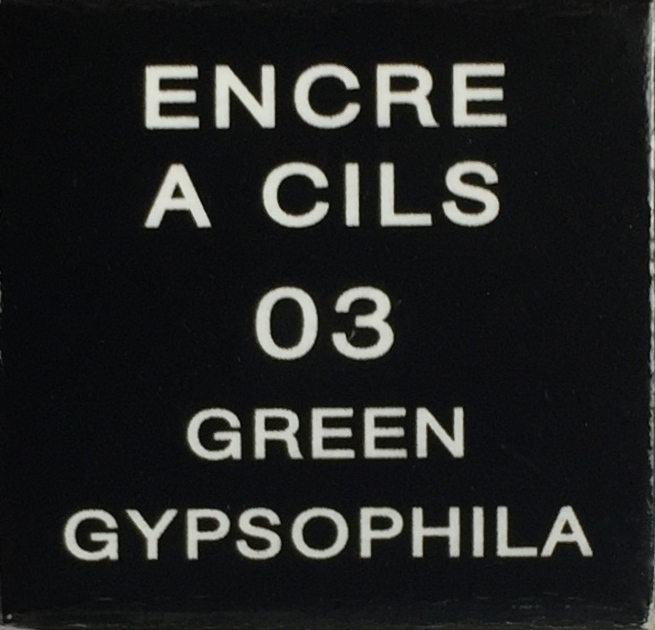 This year it comes in shade 03 Green Gypsophila. Another artsy thing, probably, because there’s no green gypsophila in nature. It’s Givenchy creation. Mascara top coat is an interesting concept. Now the makeup world is more into lip shade play. With the whole ombre trend and such. But transforming your mascara shade by topping it with something else, can be fun too. 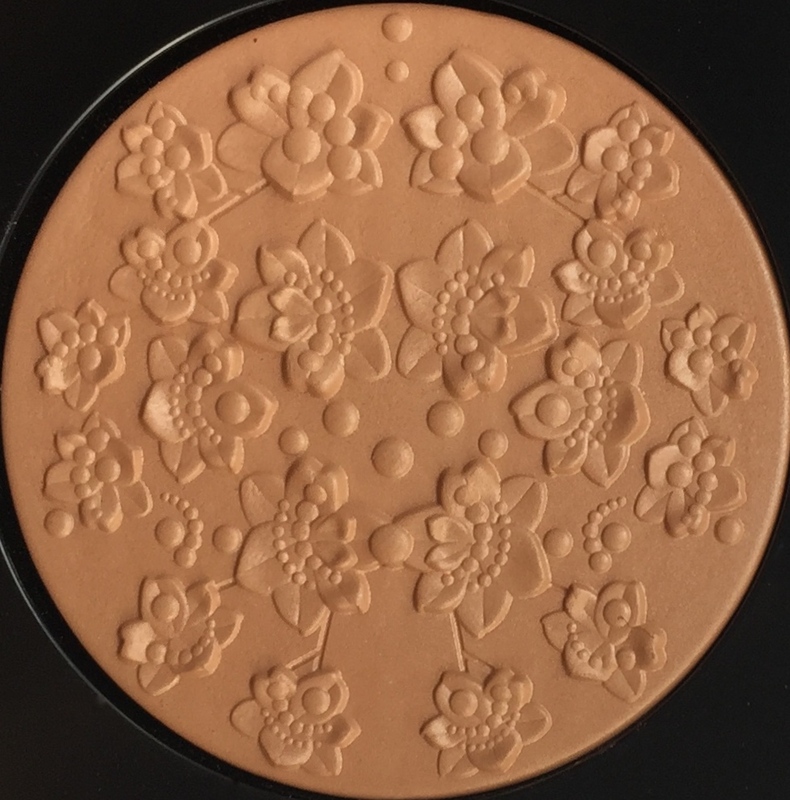 I was suspicious at first, because when it comes to topping one makeup product with the other, I always think – there’s no way it can go smoothly. 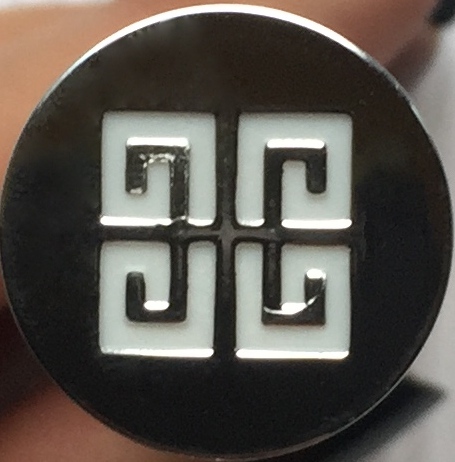 And the small shovel like brush that Givenchy suggests applying their Encre a Cils with didn’t look easy to operate at all to me, initially. But… I was wrong. This little shovely thing is not something I’m used to, but it does its job well enough. And it’s pretty easy too, once you overcome your mental block you might have on seeing it first. And trust me, this season you might wanna overcome it, because… because the shade is amazing. It’s not just green. No. It’s pearly aqua green, aquamarine, it’s magnificent. There’s so much in this shade. It’s full of undertones and reflections and shades and undercurrents like an ocean. 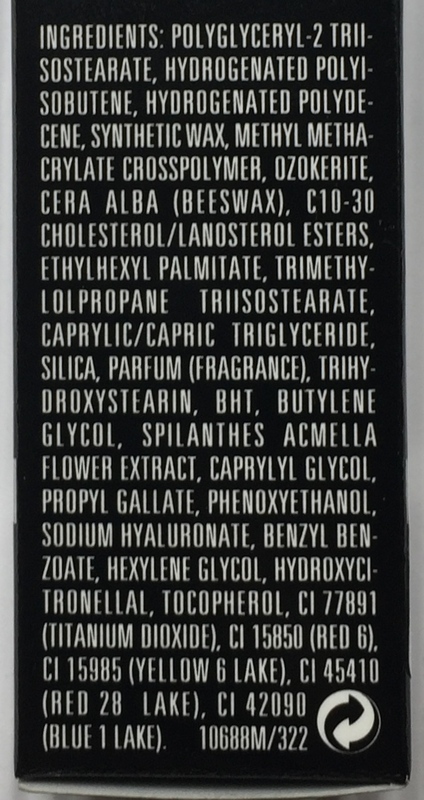 And just like Blue Gypsophila mascara, Green Gypsophila mascara top coat will become most of us. Even those of us, whose eyes aren’t blue or green. Trust me, this shade will bring out new depths in your eyes you didn’t even know existed. And create wow effect for sure, if you combine it with Blue Gypsophila mascara. Love it. 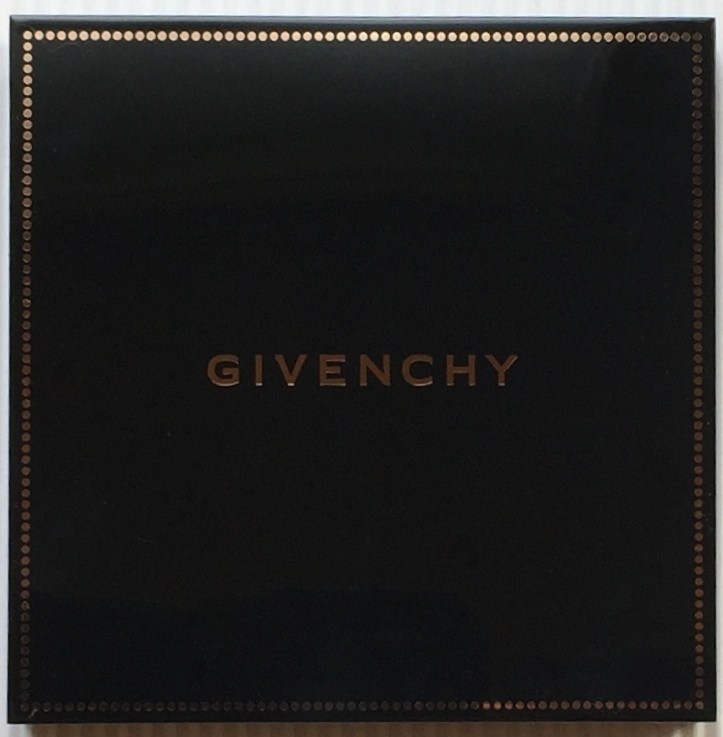 The first lipstick is Givenchy signature Le Rouge. I have mixed feelings, when it comes to Le Rouge. 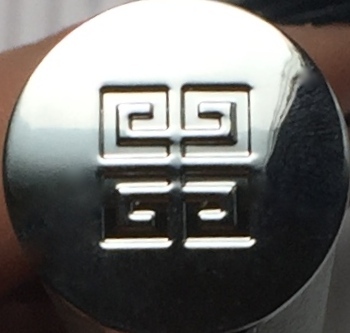 I love the design, but the formula itself is not my favourite. 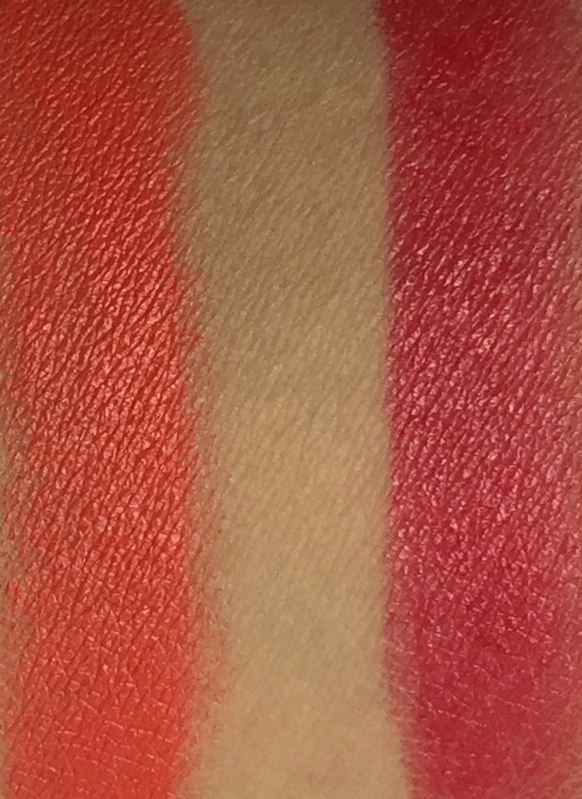 It’s a little too hard for me, literally, I prefer softer lipstick formulae, when I don’t need to apply that much pressure on my lipstick to get the colour out. Also, the scent is just too strong for me. It’s majorly makeupey. It’s not that it’s unpleasant, it’s just very very strong. And I’m scent sensitive. Also, it always confuses me, that it says on the packaging that the finish is Sensuously Mat, because it’s not really matt. It’s typically classically lipstick satin, maybe, a little more matt than it is traditionally, but pretty close, I’d say. So, why it says it’s matt, I can’t understand. 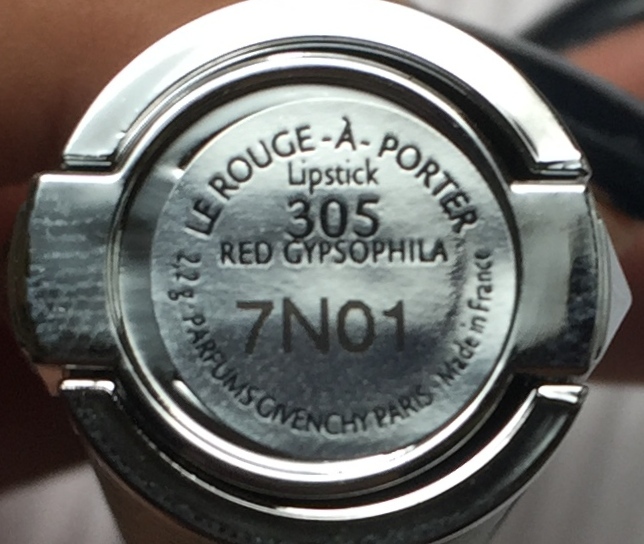 And the texture of this lipstick is very rich. It’s in tune with what it says on the packaging. Intense Colour. Yes, intense, too intense for me. 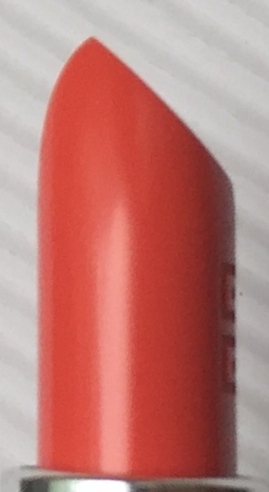 Not in terms of colour, but it terms of how thick and present this lipstick is on the lips. Given all my reservations about Le Rouge, you’ll understand how overpoweringly beautiful the design must be for me to step over them. I have to admit Le Rouge leather design is always fabulous and fetish like. But this year it’s even more so. 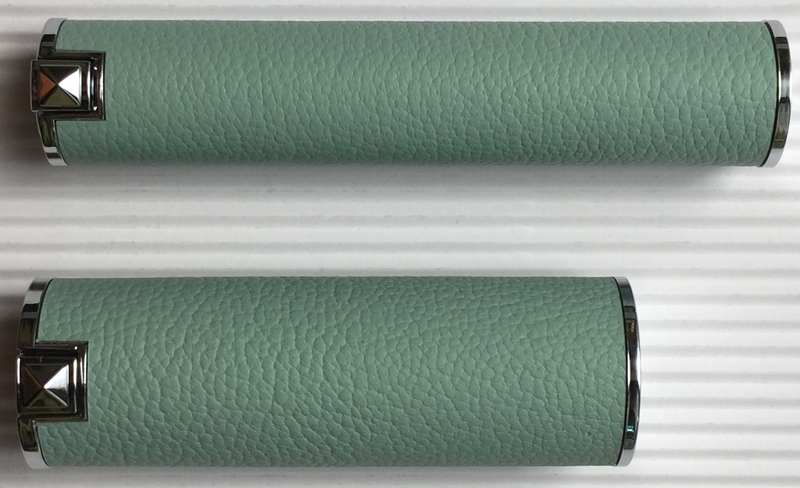 Because it’s summery cruise green in colour. Absolutely fantastic, crisp and clean, fresh and perky, cool and soothing. This tube is summer. One look at it is enough to feel it, to find yourself on a cruise, and who cares what season it is, and that you are at your desk in the office 🙂 The shade further supports this impression. It’s super summery. Bright coral. Or orange even, I might say. It’s a clever orange though, so that it will become most people, and it’s not too edgy and not too bright. 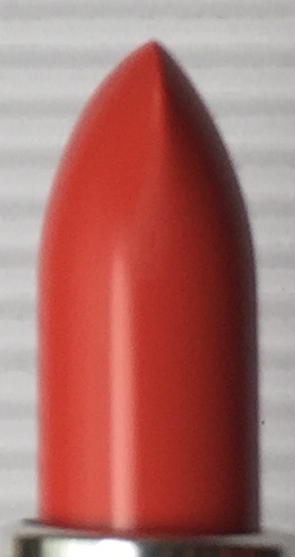 It’s just the right intensity and vibrancy and light enough, not too dark, to make your orange lipstick experience special and pleasant. 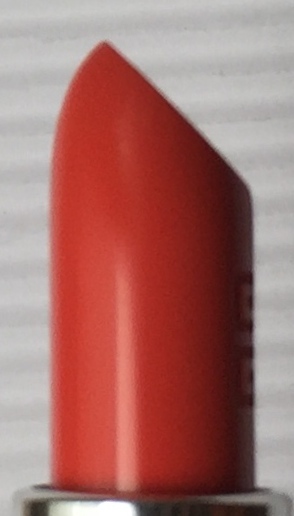 You never thought you could pull an orange lipstick shade before? 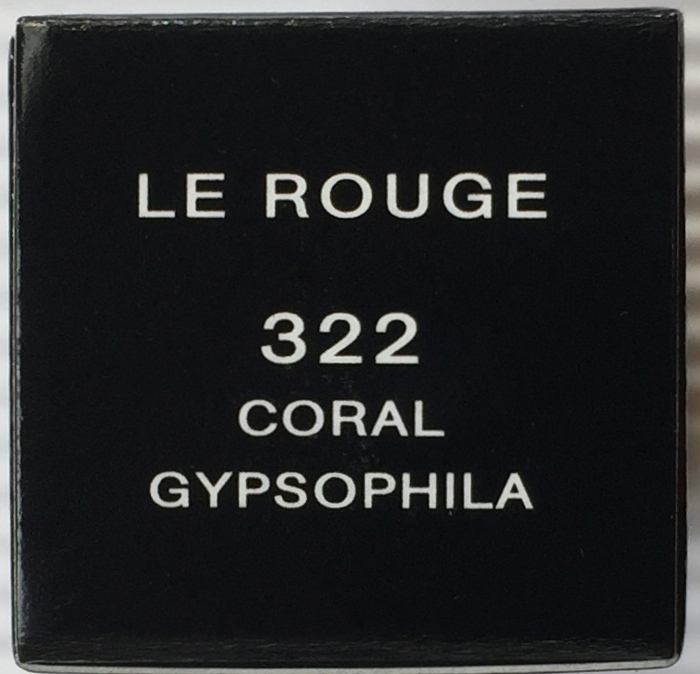 Well, you can now, with Le Rouge 322 Coral Gypsophila. 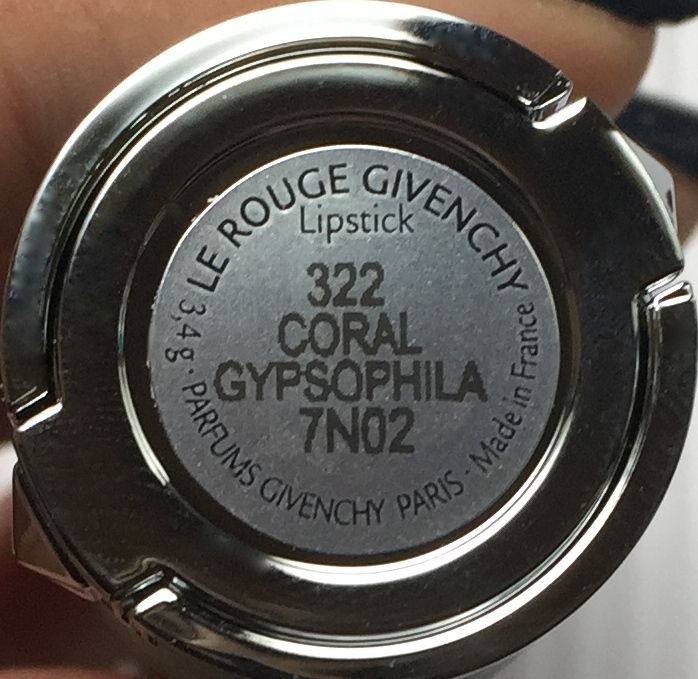 Next lipstick. Are you excited? I am 🙂 I just hope it’s going to be as great as its coral counterpart here. And that’s a toughie. 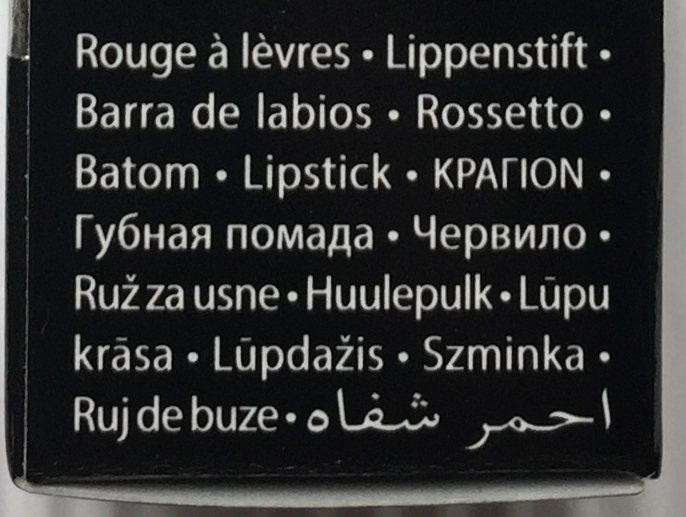 To recap, this seems to be a take on sheer lipstick formula. 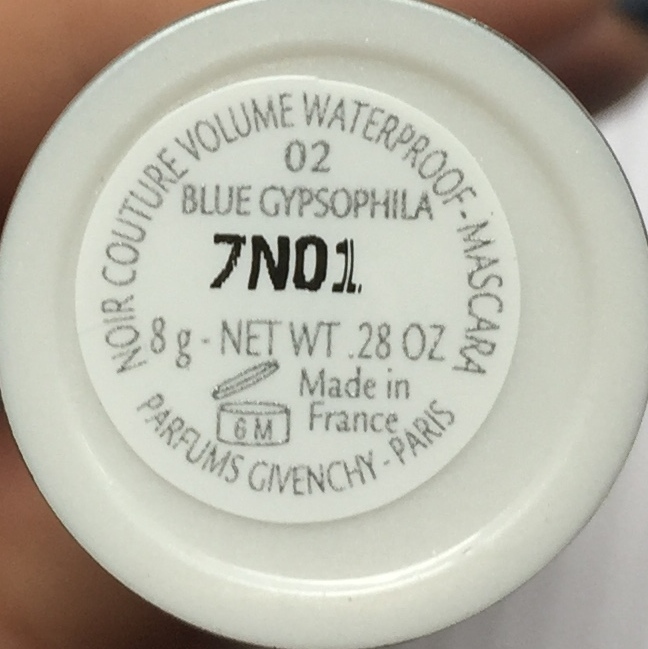 But it’s not as shiny and lightweight as most sheer lipstick formulae out there. 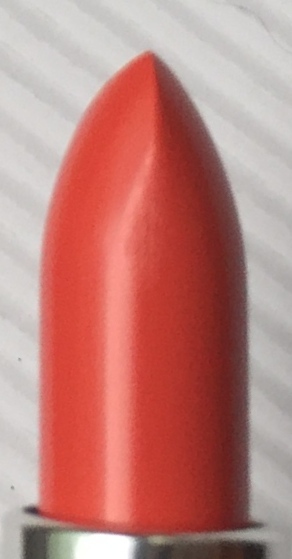 While the colour in this lipstick is very much diluted the way it is in most sheer lip colour formulae. So, the whole thing is very confusing. Also, it feels heavier on the lips than most sheer lip colour products do. It’s a pity, as far as I’m concerned, because I happen to love that airiness and lightness. Nonetheless and regardless what I said above, this design is just too gorgeous to pass on. I love thin lipstick design. It’s hot and then some. Le Rouge a-porter leather design is always beautiful. 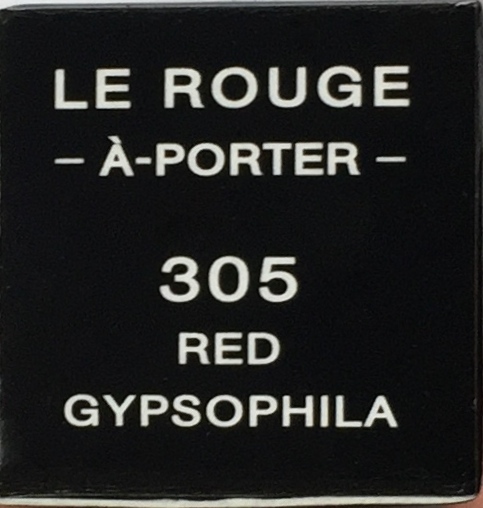 Le Rouge a-porter 305 Red Gypsophila green leather design is not just beautiful, it’s truly couture. There’s just something about it. Something that makes me love it, even though I don’t adore the formula. The shade is red. And it’s so smart. Just as the coral in Le Rouge. 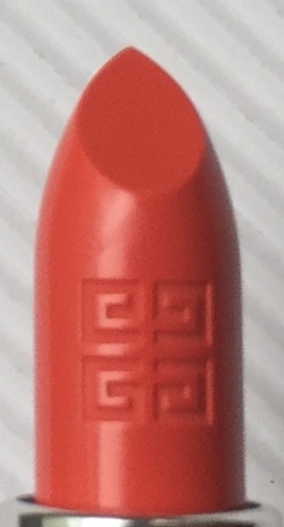 This red has some pink in it, some coral, just a touch, and everything it takes to make red lip colour super becoming and wearable for almost all of us. Have you been craving red lip and couldn’t find the one that looks flattering enough on you? This might be it right here.